Our canine and feline companions will often behave differently when they don’t feel well and the owner will bring them to a veterinarian and report that they are just not acting the same. Although this is a vague symptom, it is often an important one and astute pet owners can tell when something isn’t right with their beloved pet. When birds become ill, they most often do not show any signs. When you do notice a problem, you most likely have a very sick bird on your hands. There’s a reason why birds struggle so hard to look healthy. The wild ancestors of most pet birds are prey animals, and with animals on the lower rungs of the food chain, it is essential to hide any sign of illness. A wild bird who acts sick will attract the attention of a predator and will soon become some one's lunch. Most pet birds are at most a few generations removed from the wild-not far enough to give up the survival behaviors of their species. That is why some birds who seem fine one day are found dead the next-they were likely ill for a long time, but they managed to hide the symptoms. 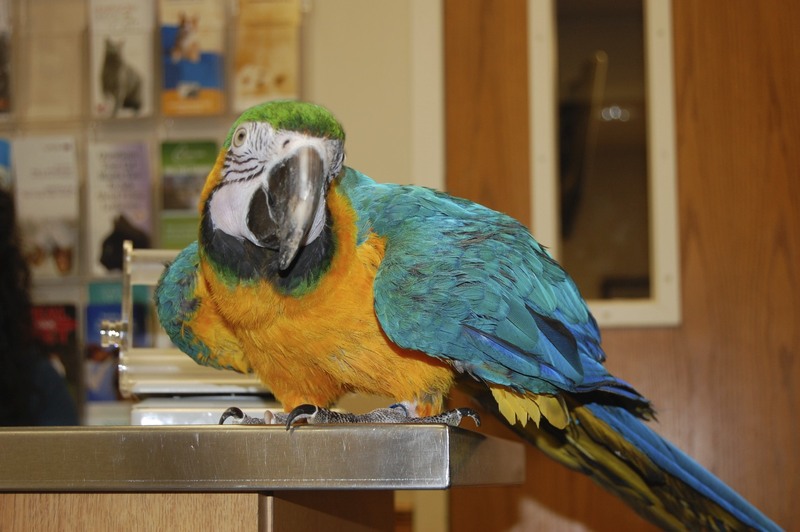 The best way to catch an illness before your bird gets too sick to be helped is to have your pet see a veterinarian at least every six months for wellness checkups. Most birds with chronic diseases will act normal, but may be very sick. Discussing husbandry issues with a veterinarian is crucial in preventing some of these diseases. Life-threatening emergencies. These need to be dealt with immediately by a veterinarian. They include bites or deep cuts, bleeding that cannot be stopped, burns, poisoning, difficulty breathing, collapse, blood in droppings, or straining to defecate or pass an egg. In these situations, you can’t get help fast enough. If it’s after hours and your regular avian veterinarian cannot be reached, you’ll need to visit an emergency clinic. 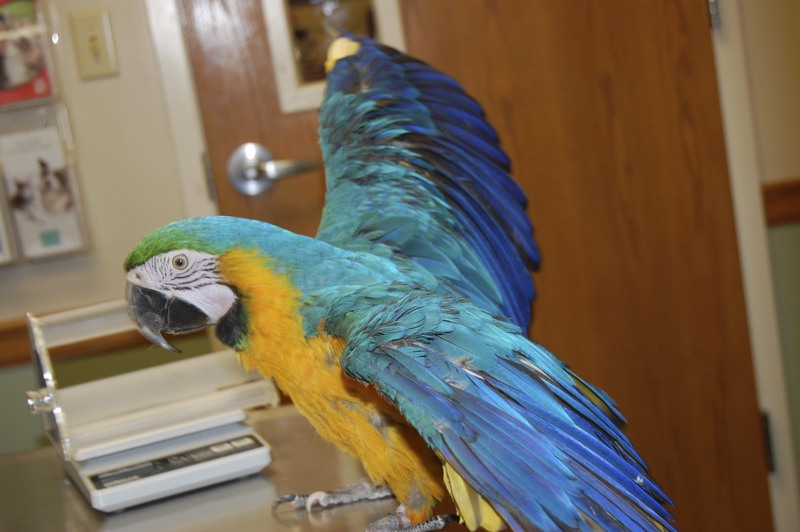 Not all of these clinics treat birds, so take time now to explore your options so you'll know where to go in an emergency. Urgent situations. 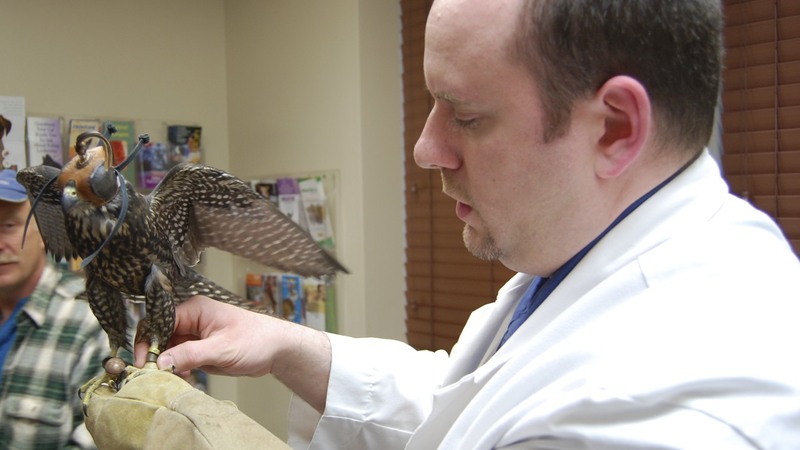 Problems that should be seen by a veterinarian within a few hours of your noticing them include eye injuries, or a lack of interest in eating, especially if your bird also seems “puffed up”. Sudden swellings also demand relatively fast care, as do broken bones and diarrhea. Direct contact with dog or cat saliva, regardless of whether or not the skin was broken, is also an urgent matter– your bird will likely need to be started on antibiotics right away. Everything else falls into the category of not-so-urgent, but even then, don’t become complacent. If there’s a problem, your pet should see your veterinarian the next day. If any of the more urgent symptoms pop up, get help sooner. No matter what, remember that a “wait and see” attitude is never appropriate for a sick bird. When in doubt, you should at least call your veterinarian. Your bird’s life may well depend on your prompt attention.